The LIOB-55x Modules can be switched to LIOB-IP mode using manual local operation. 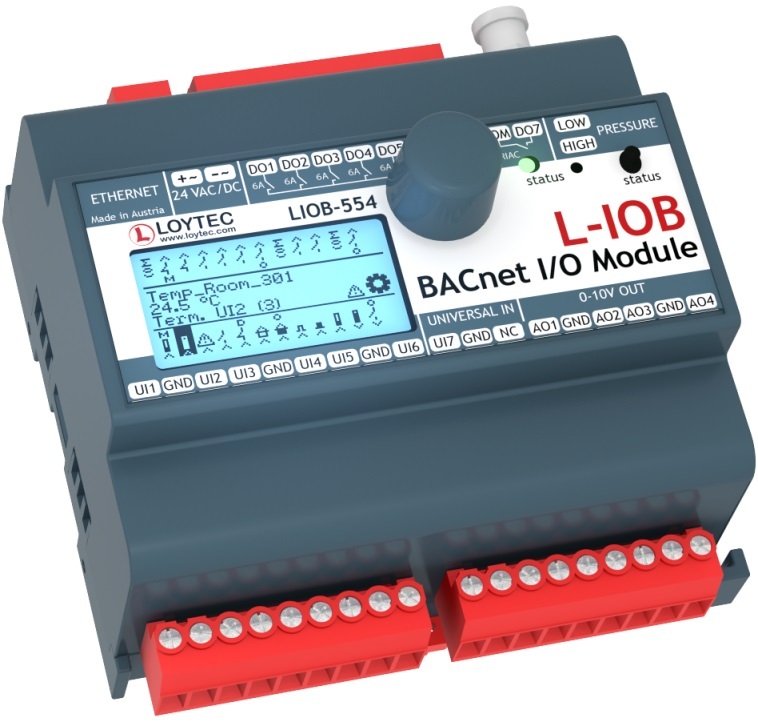 In LIOB-IP mode, the LIOB-55x Modules extend L-INX Automation Servers, LIOB-BIP I/O Controllers, and L-ROC Room Controllers with physical inputs and outputs via plug and play. Digital Output specification Please refer to the “General Input and Output Specification of LOYTEC devices” for more details.